Thousands of new technologies are developed in various fields every year. In 2011 alone, China’s State Department of Intellectual Property received 526.4 thousand new patent applications. There were 503.6 thousand patent applications in the United States, 342.6 thousand patent applications in Japan, 178.9 thousand patent applications in South Korea and 142.8 thousand patent applications in the European Union. In the 19th and the 20th centuries, many inventions were revolutionary and ushered in a new stage of economic or industrial developments. In the post-industrial information age, a new technology in the form of a patent can be an important new product. Inventions have not become less important, but are looked at as investments rather than just science. In some industries, demand for some products may outrun supply. As for patents, the opposite is actually true. Not so long ago, the oil industry was centered around the development of oil wells and the sale of “black gold.” Now those precious materials from under the ground can bring in as much as two or three times the profit when converted into automobile fuel, industrial fuel and materials for various other industries. Petrochemical production has become more and more viable and the use of oil deposits is now looked at as an investment. If fact, investment into an oil company stock appears to be a more sensible investment than betting on an oil well. According to the latest trend, environmental regulations and standards are becoming more and more important. They also have become another means of making money for companies serving the needs of companies that must protect the environment and wildlife when searching for and developing natural resources such as oil and gas. Various oil equipment, that can reduce costs, repairs and fines, is just as important for industrial companies as good software protection is for a cyberspace company. One of the petrochemical products widely used in many industries, especially in the energy sector, is industrial oil. Due to its dielectric, lubricating, and cooling properties, industrial oil is indispensable for smooth and efficient operation of electric power transformers, turbines and high voltage electrical equipment. The market for oil technologies used in the production, blending, purification and regeneration of industrial oils has an abundance of systems and different products. Not only are they of adequate quality to meet the demand, but are really a sensible investment to reduce operating costs and increase profits. Complete oil regeneration systems are especially in demand. Oxidation and aging of oil during operation becomes a factor for transformer reliability and in decreasing expected service life. This obviously leads to reduced efficiency, untimely repairs, increased control and maintenance costs, as well as increased costs of repairing and replacing equipment. Timely detection of oil problems can help prevent transformer failures and other system malfunctions and failures. Modern Regeneration Equipment supplied by GlobeCore for oil regeneration, involves supplying the oil directly from the transformer to the regeneration unit. The transformer only has to be de-energized to connect the system. Oil is pumped to various sections of the system for complete oil regeneration. After a full cycle of oil restoration and removal of moisture, air and solid particles, the purified and lightened oil goes back to the transformer in original like new condition. Key factors to consider when selecting oil-filled transformer maintenance equipment are economy, savings on new oil purchases, reduced corrective maintenance requirements and elimination of environmental risks and hazards. The GlobeCore CMM-R line of oil regeneration equipment offers the best way to achieve the above considerations because it utilizes an automatic sorbent reactivation process. GlobeCore units feature the very popular and effective Fuller’s Earth filter system with automatic sorbent reactivation. This technological breakthrough reuses the sorbent material over and over reducing labor costs and eliminates sorbent disposal and replacement costs. The GlobeCore CMM-R systems all use the Fuller’s Earth sorbent material which is already quite popular in various industries around that world. The advantage of the GlobeCore systems operating with this material is continuous oil circulation allowing for uninterrupted purification without the need to change and out the sorbent material. The regeneration process is divided into several sub-processes. This allows the sub-processes to be run at the same time, i.e. the process can be continuous. When the sorbent material becomes saturated with contaminates, the system will switch automatically into sorbent reactivation mode. The GlobeCore units also have the ability to split the Fuller’s Earth columns so that half can continue to regenerate oil while the other half goes through the sorbent reactivation process. This permits the CMM-R units to process oil automatically in a continuous and uninterrupted automatic mode of operation. Some companies that have been in the petrochemical equipment business, such as the well known GlobeCore company, have offered the industry added value for the patented units discussed above. E.g. mobility of Fuller’s Earth transformer oil regeneration systems, customization of equipment and PLC control software, have all increased processing capacity and quality of the finished products. 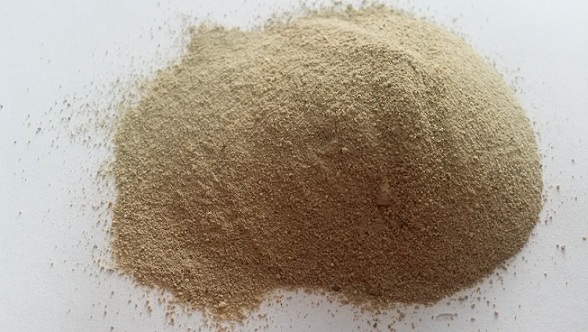 The Fuller’s Earth sorbent material is widely used in the petrochemical industry world wide. According to research conducted by American scientists, Fuller’s Earth is successfully used in the construction and pharmaceutical industry with its main purpose being the processing of oil and oil derivatives.